In the world of aromatherapy and essential oils, you might be looking for a good quality brand that is dependable, pure, and affordable. There are many essential oil brands out there, so it can be a task to figure out which ones are legitimate, unaltered, quality products. Some high quality essential oil brands are quite costly, and others oils so cheap that they make you wonder what additives or synthetics are placed in them. 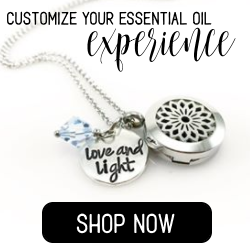 About a year or so ago, I stumbled upon a site, that sold essential oil products – okay just another brand I figured. I learned that they were a newer company, based out of Vancouver Canada, founded by two siblings Sara and Sean Panton. Sara’s passion for natural products and medicines inspired her to create Vitruvi. Now her and her brother are involved in every aspect of the business. The oils from Vitruvi are 100% pure, natural, essential oils with no additives, fillers or synthetics. As well, 8 out of their 16 single – note essential oils are certified organic. Even though they source their oils from all over the world (from over 40 different countries), they choose the regions that produce the highest quality essential oils. Once received, each batch is then quality tested three different times, to ensure their purity and potency. All the labeling of the oils from Vitruvi include the country of origin of the oil as well as the scientific name for each essential oil (ex. lavender – lavandula) These are definitely good indicators of the legitimacy and quality of the products. Not only did the modern design of the products catch my eye, but also the cost of the oils was a surprise – as some brands are quite expensive. So I wondered, are they actually legit? I actually just recently learned, that since Vitruvi only sells to consumers online and to select wholesalers, they are able to offer high quality, premium essential oils at a fraction of the cost that multi-level companies do! So after I did some research on Vitruvi’s oils and their quality, I decided to order a few and give them a try. For one, I have to say, (as a person who likes minimalistic design) I think the packaging is genius. The main single oils come in black bottles with labels that were made to look like the abbreviations from the table of elements – how cool is that? Vitruvi has 16 different single – note essential oils categorized under citrus, floral, woodsy and herbal, as well as 5 blends – Pacific, Dusk, Quiet, Boost, and Grove. From the oils that I’ve used – some of my favorites among them are the bergamot (kinda citrusy with an earl grey scent), grapefruit, and peppermint. I CANNOT live without the peppermint! It was a lifesaver for me last year, on my 13 hour road trip, driving on no sleep! I use the lavender and frankincense in my face cream that I make myself, which are great for the skin. I also have the Grove blend which includes pine, fir, spruce and cedarwood. It’s nice and earthy, and smells like you are walking through a forest. The scent is not too strong, but is nice to diffuse. One thing I do wish, is that the company had more options/variety for single note essential oils, so I’m hoping maybe in the future they will come out with more. Although at least they have the main “essentials” which makes it easy to choose from. Vitruvi also sells mists for face and body (or you can use them to freshen up your space), as well as some roll on blends. You can also get a pretty ceramic stone diffuser which comes in white or black – my review on the vitruvi diffuser is here. As well, the company has launched a new line called Dynamic Skincare – that lets you create a custom face oil to suit your skin, using a variety of their unique selection of carrier oils. Overall, I like Vitruvi and their essential oils. They deliver quality oils at an affordable cost, and the design of the products look great as well. The company is honest, transparent, and the customer service is great. If you might have any concerns or questions they have an online chat so you can connect with them on Vitruvi’s website. If you are looking into essential oils or looking to try something new, Vitruvi might be something for you. If you use my special code that I have provided ( vitruviXannato ) you will get %15 off your order, should you choose to purchase from them. Happy oiling! Did You Know You Can Use Essential Oils For Gardening? This is very informative and very awesome! I love trying essential oils and ones in spray bottles tend to make it easier for me to use. Sometimes I’m so hesitant to try it because I don’t know what they smell like and how strong the scents are… but now I can at least start with the one you tried, especially the cedarwood. I sometimes become allergic to strong odours so I’m glad I can start trying some of the ones you mentioned! Thank you for the review! I’m glad this article has given you some useful information! If you use a diffuser for your essential oils, then for sure you will not have to worry about any strong scents, since the oils are diluted with water and vaporize. Hi what a super article, whilst I rarely use aromatherapy this article could get me hooked. Have been known to use peppermint for my tired eyes. Most informative, Well done. Yes, inhaling peppermint helps to stay more alert and focused, and applying it on the temples and back of the neck is great for relieving headaches. Thanks for your review of Vitruvi. This is a company I have not heard of before. I appreciate the fact that they test the oils and that they do not include additives or fillers in their products. I love essential oils and use them in a diffuser in my home to create a warm and inviting presence. I’m interested in the Grove scent as I lived in the Columbia Gorge in the Pacific Northwest for many years and miss the smell of the forest. Does the scent transport you to a wooded paradise? Thanks also for the 15% discount – will definitely be giving them a try. Your very welcome! Yes the company is very conscious of the quality of oils that they put out on the market! I found this review helpful. I will take a look at the products myself. Pictures are fantastic! I have never heard about VITRUVI before. Which oil helps with muscle cramps or pain, if any? Some essential oils that can help with cramping or pain are peppermint, lavender, eucalyptus, wintergreen, thyme, roman cammomile, and frankinscense oils. You can check out this page for lots of uses for essential oils, and their benefits here. Peppermint oil, highly recommend! It helps relieve joint and muscle pain, relief from nausea, helps fight lethargy, colds! Yes! Peppermint oil is great! There are many uses for it. Peppermint is one of my favorites! There is so much we can do with the mint oils from uplifting our mood, to cleaning the house. And it can even help in the grieving period for giving us a bit of a mental lift when we’re feeling down. Hi Kara! Yes, peppermint is pretty awesome! it is one of my favorites for sure, as well 🙂 And you are so right – there are many great uses for peppermint essential oil.